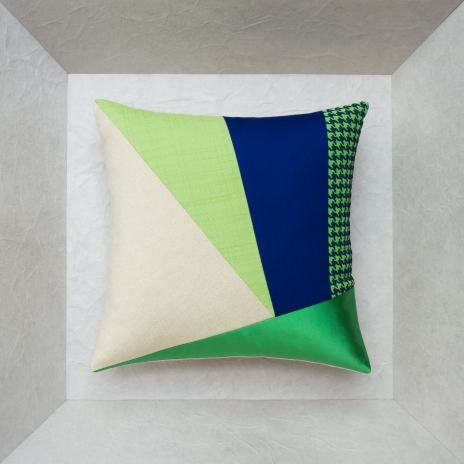 This small, elegant cushion in a 30x45 format is a unique piece. 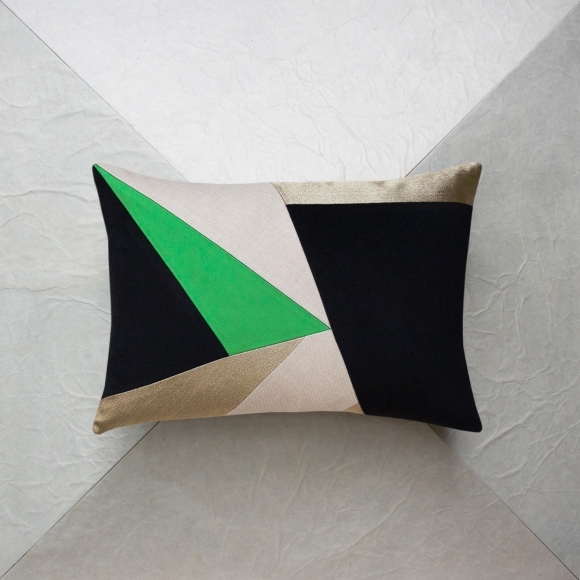 The cushion's warm shades of green and black add an elegant touch to your interior decoration. 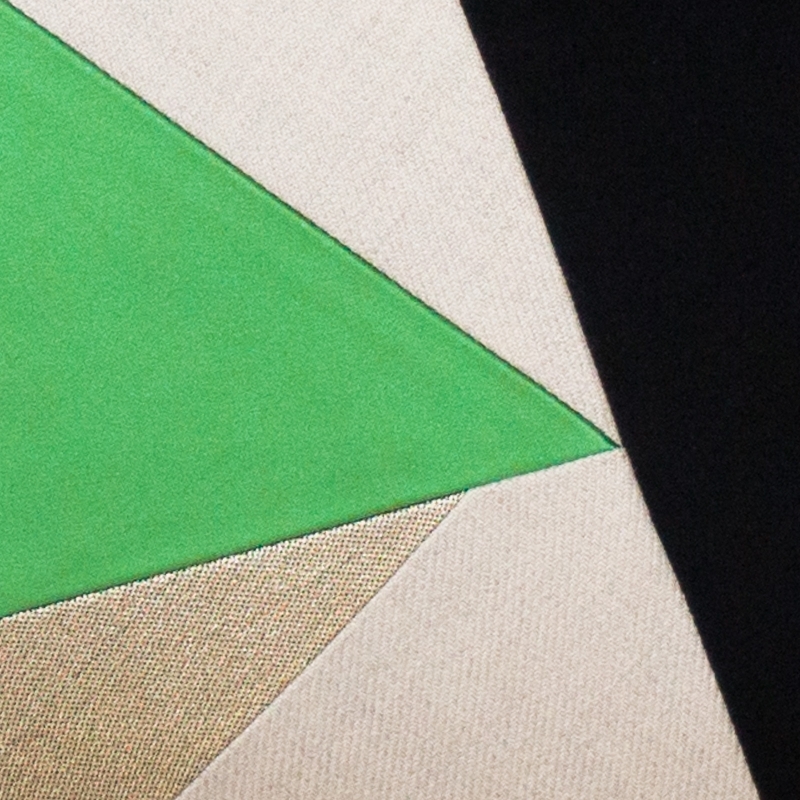 The use of silk and wool fabrics give it an graphic, rare look, producing an exceptional piece. 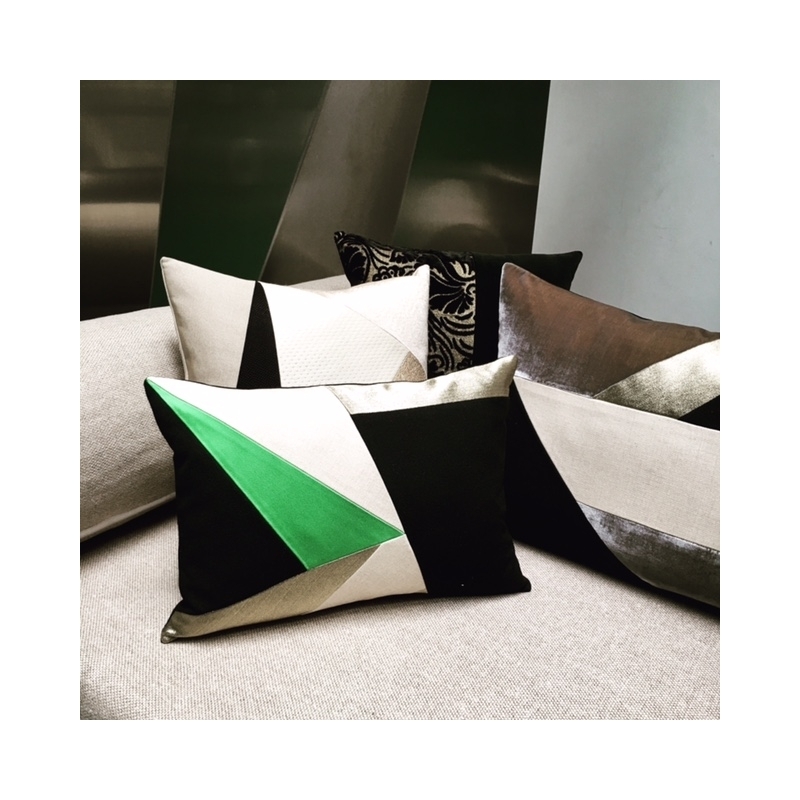 Its modern design with geometric figures that cleverly combine 4 fabrics, adds a dynamic, graphic touch to your interior. 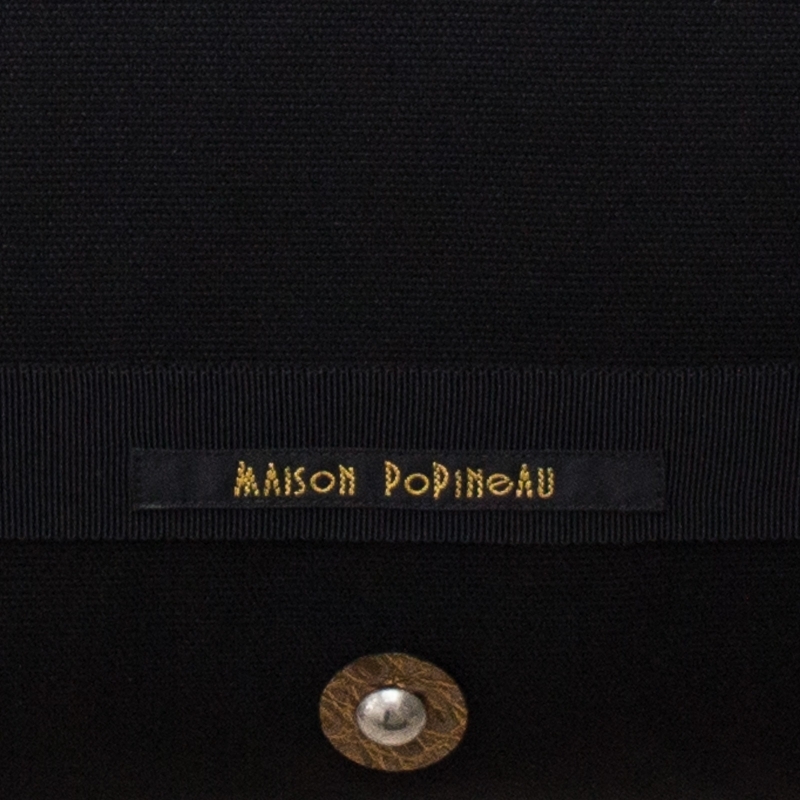 On the front, black cashmere fabric, wool twill and ivory linen, green silk satin and gold metal vintage fabric. 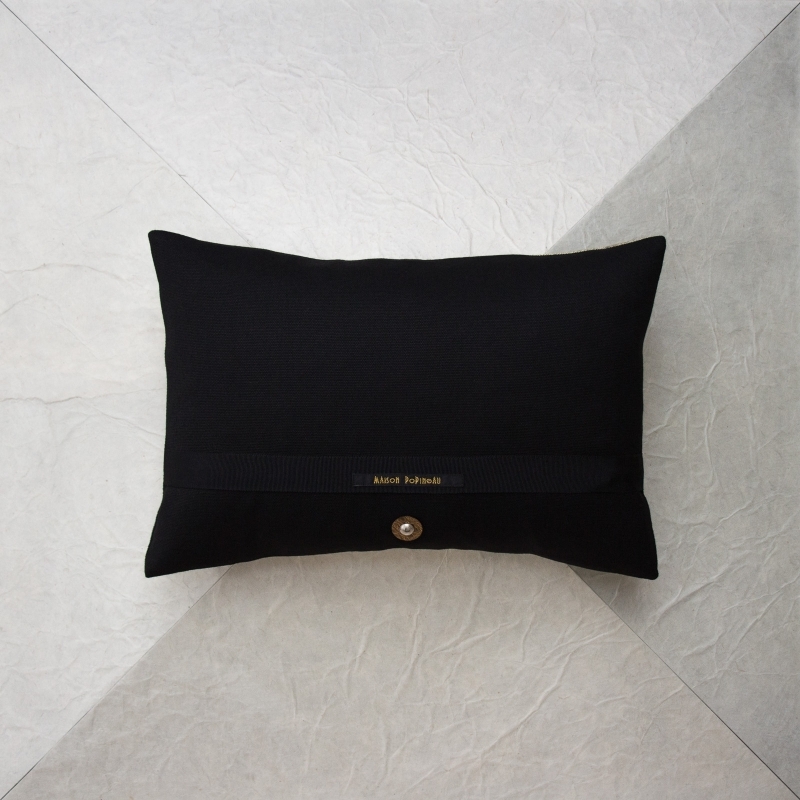 Black silk and polyester ottoman, zipper covered with black grosgrain ribbon, gold leather tab, silver rivet.